Originally printed on April 15, 2019 in the Eastern Daily Press. MOORE DAVID RALPH ERIC Passed away peacefully at Priscilla Bacon Lodge on April 9th, 2019. Beloved husband, father, brother and Grandpa. Thanksgiving service to be held at Lammas Church on April 23rd at 2.15 p.m. Please wear bright colours or an item of blue. 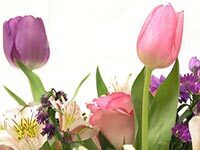 Family flowers only but donations, if desired, for Priscilla Bacon Lodge Support Group or Cancer Research UK can be given at the service or sent c/o Cromer and District Funeral Directors, 32 West Street, Cromer. NR27 9DS.